Weave like spiders, we are taught to cast thread into the dark. Some make anchors, most are slow to hit the mark. Since the 2010 release of their first full length album Into the Roaring, Night Riots haven't looked back. Rolling Stone magazine dubbed them "One of the top 16 unsigned bands in the North America," MTV has aired the singles "Some Nights" and "Chase the Sky" (at one time "Some Nights" was the fourth most viewed video on MTV.com) and MTV Buzzworthy called Night Riots "One of the most critically overlooked bands of 2012." Sonically Night Riots have been likened to a modern day Cure and have been compared to bands such as U2, The Flaming Lips and Gaslight Anthem without being overly derivative of any particular act. Unlike the rest of the members, vocalist Travis Hawley was born in the United Arab Emirates and lived in England for five years before moving to the U.S. His vocal style has often been compared to emotive European artists such as Robert Smith, Bono, and Danny Elfman. "We've been friends since high school, the guys and I grew up in a small coastal Californian town with only one street light." says vocalist Travis Hawley about the band which also features guitarist Nick Fotinakes, bassist Mikel van Kranenburg, guitarist Matt DePauw and drummer Rico Rodriguez. 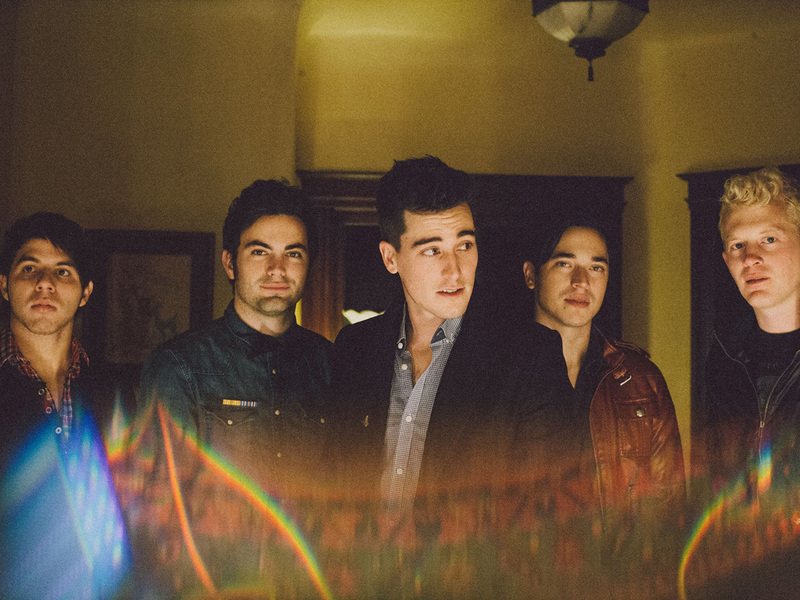 Having moved on from their small town roots, Night Riots have since shared the stage with artists like Angels and Airwaves, Aerosmith, The Script, Youngblood Hawke, Shiny Toy Guns and many other bands throughout their U.S. touring expeditions. Night Riots just released a brand new EP entitled, YOUNG LORE, on July 30th 2013.